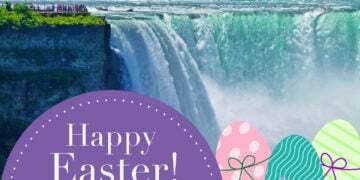 A vacation to Niagara Falls during American Thanksgiving (Nov. 22, 2018) is an idea the whole family can be thankful for! Thanksgiving is a great time of year as it’s generally the kick off for the holiday season. Its pumpkin pie, delicious turkey dinner and the perfect opportunity to gather and spend time with loved ones. Of course, in all that gathering, someone – usually Mom– ends up having to do some major cooking and baking. 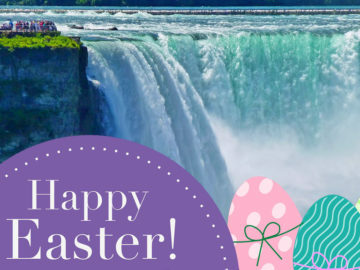 This year, give Mom (or Dad, or Grandma) a break and get away…by spending the American Thanksgiving in Niagara Falls! According the American Automobile Association (AAA), the “2018 holiday weekend will see the highest Thanksgiving travel volume in more than a dozen years (since 2005)” So if you are are thinking about getting away before the weather turns for the worse, you are not alone and in good company this year. Though temperatures dip in late November, its generally a dryer month than October with very little snow accumulation, making the drive manageable. It’s also a festive time as the city gears up for the holidays with many decorative displays like the: Winter Festival of Lights, nearby holiday markets and events happening just before the major Christmas holiday period. Another bonus is the minimal tourists that visit during this time of year making it far more relaxing for local sightseeing. Of course the world famous Clifton Hill area, at the heart of Niagara Falls, is worth a visit with most everything open, including the Niagara Speedway (weather permitting). Whether you’re seeking to get closer to one of nature’s most powerful wonders: the Falls, or you’d like to toss in some good ole’ fashion fun, the Thanksgiving activities this year are rather impressive. 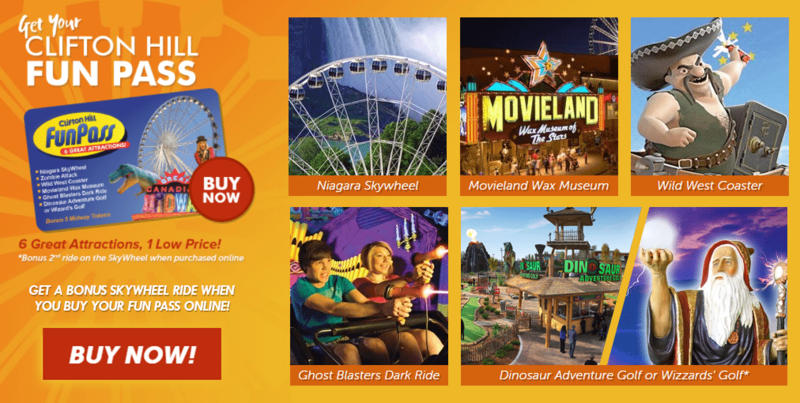 If you want to experience all the family fun excitement on Clifton Hill — on a discount…be sure to pick up the Cifton Hill Fun Pass. 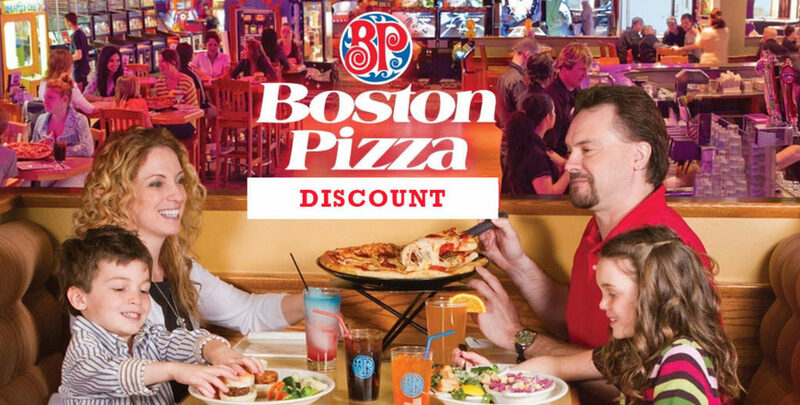 Sit back, relax, and gather your family at Boston Pizza Clifton Hill. We have more than 100 delicious menu items for dinner to choose from. They are sure to please the pickiest of eaters at your table. From appetizers to dessert, plus one of the best kid’s menu’s around, we have you covered! 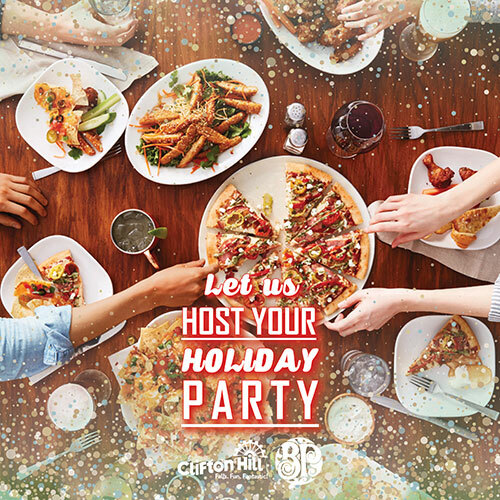 For group parties of 10 or more, we offer some incredible group party packages to choose from. The best part about our venue is that we are geared towards families and boast over 25,000 sqft. 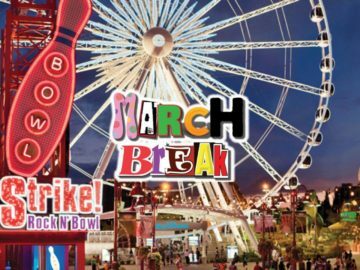 of indoor family entertainment with bowling, billiards, rides and games galore…not to mention delicious food! Many families love having friendly competition at the adjoining Strike! Rock N Bowl entertainment complex! Don’t miss out on the family fun during the Thanksgiving holiday weekend! What’s an American Thanksgiving in Niagara Falls without some Niagara Falls shopping? With Black Friday sales popping up everywhere in Niagara Falls, Canada and the strong U.S. dollar, Thanksgiving weekend is the time to engage in some retail therapy! The Canada One Outlet Mall will have some amazing deals popping up. It’s home to top designer name outlets such as Coach, Tommy Hilfiger, Escada, Guess, Nine West, Reebok, Danier Leather, La Vie en Rose, and so much more. 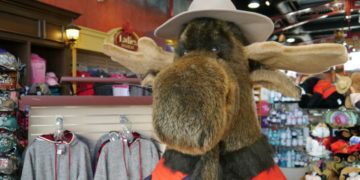 Additionally, Clifton Hill has the top selection of Niagara Falls inspired souvenirs. 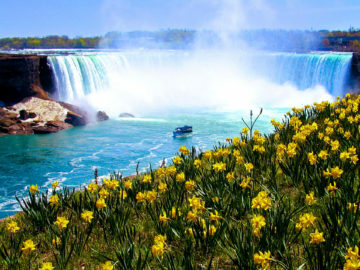 There is no need to stray far from the picturesque beauty of the Falls to get to one of Niagara’s largest souvenir stores — the Canada Trading Company. You are likely to find that special something to take home after a memorable trip. The Canada Trading Co. offers top quality clothing, figurines, water globes, wind spinners, handcrafted jewelry, as well as an impressive display of Native art, totems, Inukshuks & Moccasins, dream catchers, masks and statues — the list goes on and on! 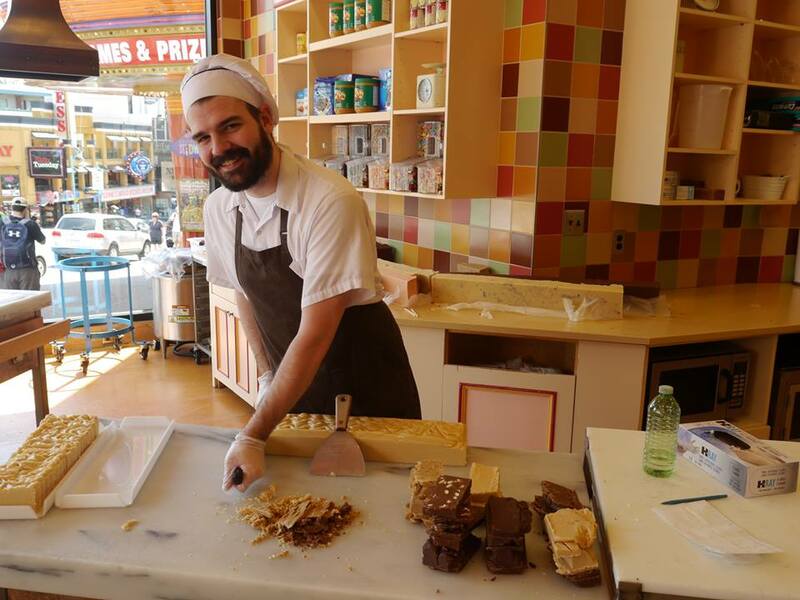 A trip to Niagara Falls isn’t complete without a stop at the decadently sweet Fudge Factory! Save room for something luscious, because you won’t believe all the delectable goodies made fresh at Fudge Factories gorgeous shop! The OPG Winter Festival of Lights! Click here for more details on the Winter Festival of Lights. For another type of magic, wander over to the Greg Frewin Theatre. 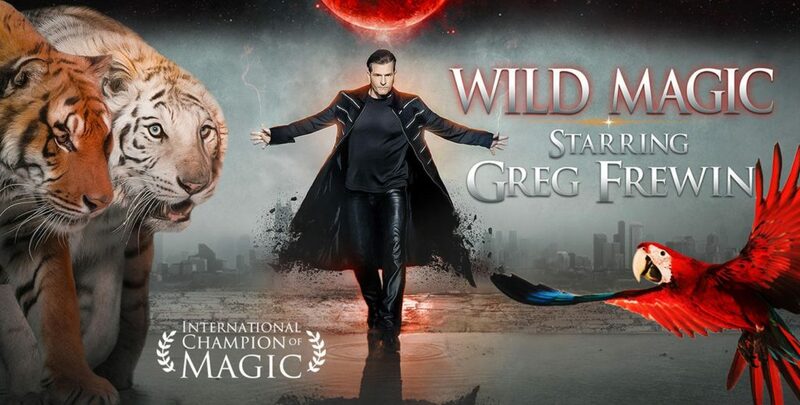 An International Grand Champion of Magic, Greg Frewin’s ‘Wild Magic’ Show brings the best of the Las Vegas style family magic show to the Falls. There’s even an opportunity to have your picture taken with a tiger. The ‘Wild Magic’ Show runs Friday, November 23rd at 6:15pm and 7:30pm, then Saturday, November 24th at 7:30pm, with the option to include a dinner buffet. Don’t miss out on the Niagara Falls Fireworks shows! 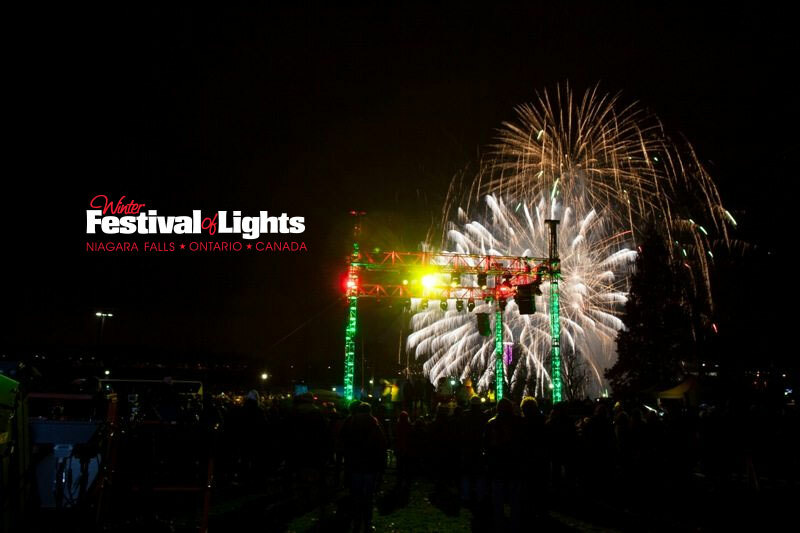 The fireworks will go off at Queen Victoria Park at 9:00 pm on Friday, November 23rd, 2018. 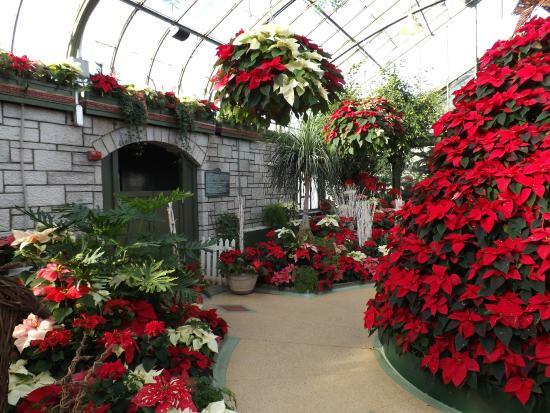 For over 65 years, the Niagara Parks Floral Showhouse builds traditional holiday displays every Christmas season, featuring restored selections from the original Cullen Miniature Village collection, along with the popular poinsettia tree and horticultural wonders. The Floral Showhouse will be adorned with lights, garland and ribbon, and free flying tropical songbirds will add to the Christmas spirit. The “Shop In the Garden” is also open daily with many unique gifts for every gardener. 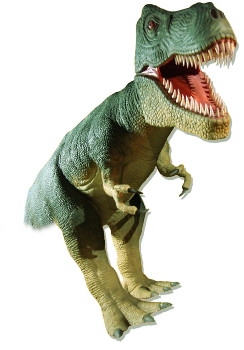 Cost: $5.00/Adults (13+), $3.75/Children (6-12), Children 5 and under are free. 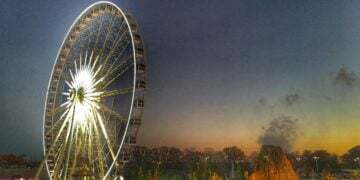 A thrilling high paced spectacle of world-class ice skating and holiday cheer, Fallsview Casino’s Christmas On Ice features a winter wonderland of national championship ice skaters, dancers and singers that will fill you with the magic of the season. This is playing at various times from November 22nd to December 3rd, 2018. 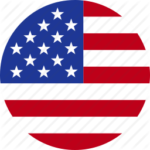 Click here for show times. Buy your tickets at Fallsview Casino Resort’s Box Office (open Noon on show days), at all Ticketmaster locations, by calling Ticketmaster at 1 (877) 833-3110 or online at www.ticketmaster.ca. Do a little Christmas shopping over the American Thanksgiving weekend on November 23rd – 25th. 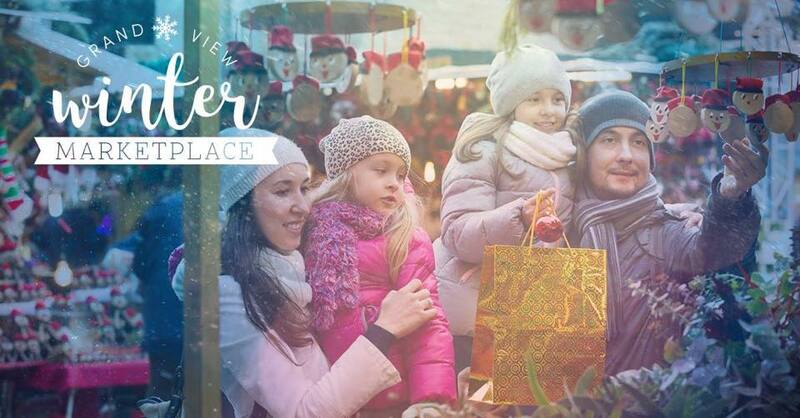 Numerous vendors will be set up below the Clifton Hill area at Queen Victoria Place featuring local food, beverages, and one-of-a-kind craft vendors in holiday-themed outdoor cabins. Amuse the family with games, activities, workshops and live entertainment provided by The Baker Street Victorian Carollers®. Don’t miss it when Santa Comes to Town…November 23-25 from 4 to 9pm. Ring in the Christmas cheer and visit Santa for the American Thanksgiving weekend! Questions about crossing the border? Click the image below for all the information that you need! We hope you have a fabulous American Thanksgiving in Niagara Falls. With plenty to do and see, it will make that special family time a little more exciting, a little more dramatic, a little more memorable. Everyone will be thankful.